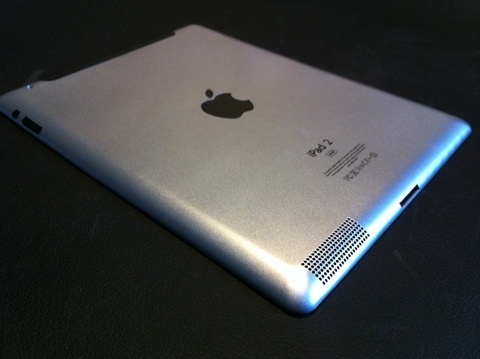 iPad 2 Rumors: Apple Reducing Production Targets, New Mockups, Late March Availability? While Apple is set to hold a March 2nd media event. apparently to introduce the second-generation iPad, we don't yet know when the device will actually go on sale. But regardless of the on-sale date, Apple may be reducing its initial production target in the face of low touch panel yields and last-minute design changes that have cut into the company's ability to pump out the new version at the levels originally anticipated. The sources pointed out that Apple still maintains its plans to mass produce the iPad 2 by the end of February; however, affected by low touch panel yields and an adjustment in specifications, Apple's production volume forecast for the first quarter is expected to drop from 400,000-600,000 units originally to only 300,000-400,000 units. The report suggests, however, that there are no indications of any delays in Apple's internal plans for a launch date. An analyst report earlier this week similarly pointed to "production bottlenecks" and "design changes" as affecting iPad production, but claimed that the issues would result in Apple delaying the device's launch until June. The "delay" claim was quickly refuted by multiple sources, and claims of the March 2nd media event followed soon after with the official announcement coming today. New mockups of the second-generation iPad have surfaced on the blog of Japanese parts vendor iLab.cc (via 9 to 5 Mac), showing what could be considered the most realistic-looking physical mockup of the second-generation iPad yet published. The mockup seems to be based on information from parts and case vendors near Apple's manufacturing partners' facilities in Shenzhen, China. 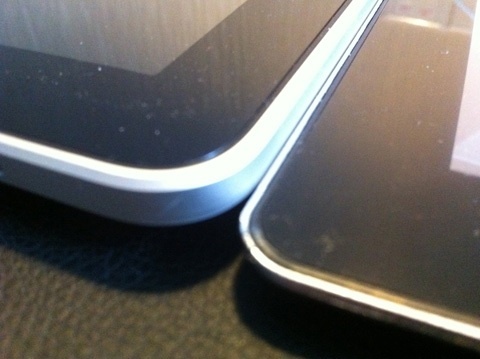 The mockup appears to demonstrate a much thinner design than the current iPad, and shows a realistic-looking mesh cover over what has been claimed to be a revamped speaker design. As for when we can expect to see the second-generation iPad on sale, 9 to 5 Mac reported yesterday that its sources have claimed that the device will launch "towards the end of March". In addition, we have received word of a vacation blackout for Apple's retail store employees set for the end of March, but we have yet to obtain confirmation of that claim.